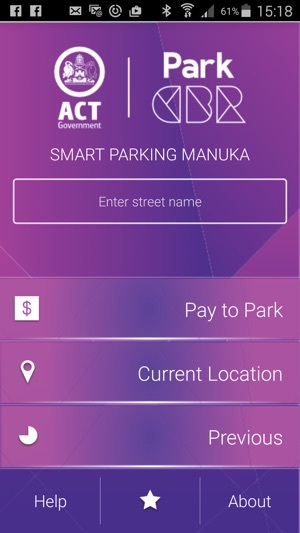 ‘Park Smarter’ in Manuka’s busy shopping precinct with the ParkCBR app. 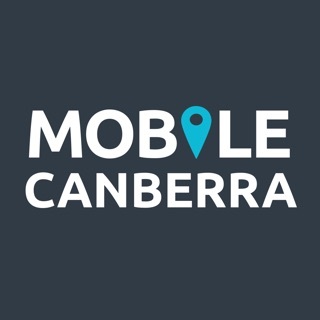 ParkCBR is the only app to provide information on ‘real time’ parking availability in Manuka and the ability to pay for parking with a link to ParkMobile. As part of the ACT Government’s 12 month Smart Parking Trial, infra-red sensors have been activated in 460 on-street and off-street parking bays in Manuka to ease traffic congestion and help guide drives to available car parking bays. These include paid-for, free, covered, open and disability parking spots. Five new LED street signs also direct drivers to location-specific parking bays. Using a simple red, amber and green system, the ParkCBR app provides real time information (updated every minute) on where drivers are more likely to find an available car parking space. 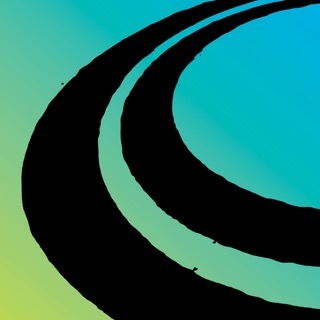 It can even interact with most satellite-navigation apps, directing motorists to their chosen parking location. Users can simply tap a map marker on the screen, to view information such as number of available spaces, hours of operation, hourly tariffs and whether a space is designated for disabled drivers. 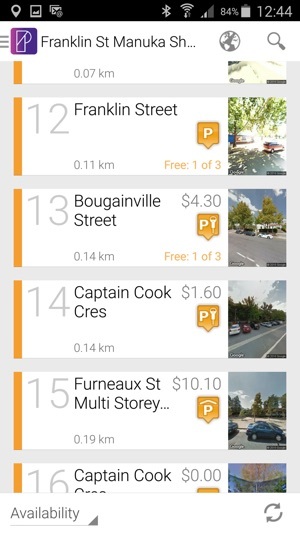 Car parking bays can be located by either general search terms (Manuka) or a specific address, such as Bougainville Street. Search results will also provide alternative parking spaces near the preferred destination, along with specific directions. 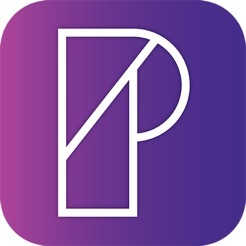 Payment is made through the app with a link to ParkMobile. 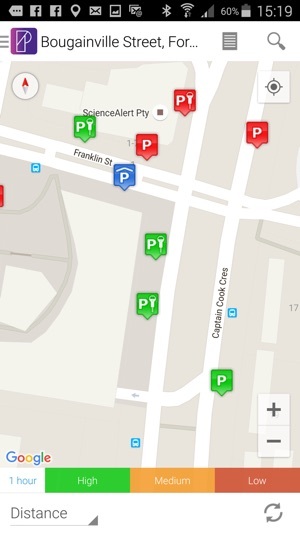 You can rate parking locations to help other users find parking and store your favourite spots on the app. Furneaux Street carpark at the corner of Furneaux and Bougainville Streets. For more information please visit: www.act.gov.au/smartparking .